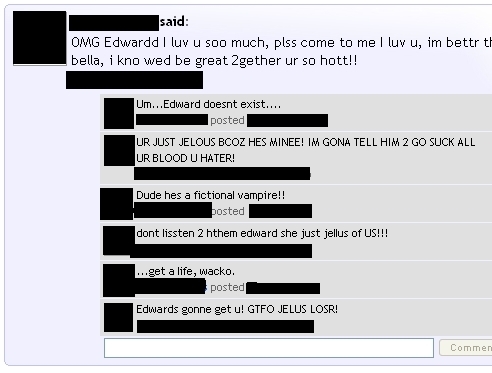 Someone needs to get a grip on reality..... . Wallpaper and background images in the Fanpop club tagged: fanpop image fail twilight edward cullen obsessed life reality. Seriously, what the hell is wrong with these twitards? ROFL. THEY'RE AN IDIOT. I LOVE IDIOTS. THEY MAKE ME LAUGH.